Thanksgiving is coming up fast and this is a time when many people are celebrating. However, if you have a bad credit score, it is easy to feel like you do not have much to be thankful for. Wouldn’t it be great to know you can have your credit back on track in time for the holidays? It is definitely possible to improve it by then. There are ways to noticeably improve bad credit in very little time. Follow these steps and you will have a great shot of having better credit by Thanksgiving. 1. Order your credit report and review for mistakes. The first step toward fixing a bad credit score is to identify the problem. Order a copy of your credit report from the rating agencies. This document will list all your outstanding debts, your credit score and the reasons why your credit score has problems. For example, it could show you have missed payments on a car loan or have maxed out a credit card. Closely review all these negative points. Is there anything you do not recognize? Credit agencies sometimes make mistakes and it is possible there is incorrect information dragging down your credit score. If so, call up the agencies and ask for this problem to be fixed. They should be able to fix your score just in time for Thanksgiving. On-time minimum credit payments are the key to a good credit score. If you make all your payments on time, your score goes up, but if you miss even one payment, your score tumbles down. Have you struggled with missed payments in the past? Make it a goal to hit every single payment on time by Thanksgiving. Every month you follow this habit, your score will improve. 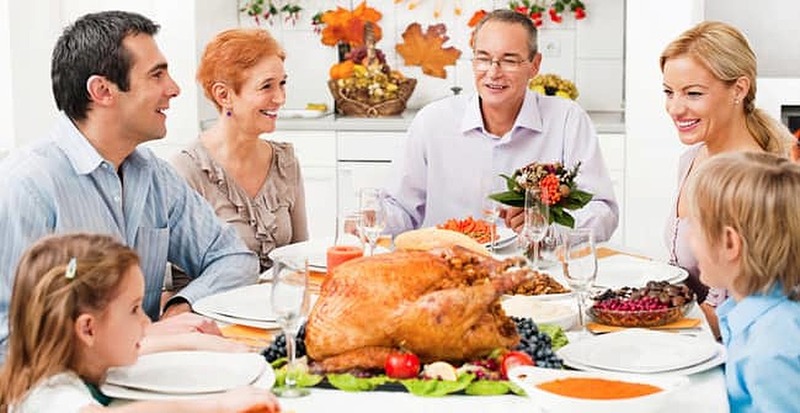 A goal like making every single payment on time for a year might seem impossible, but can you make it just to Thanksgiving? 3. Pay down what you can. Another way to repair your credit score quickly is to pay down your credit card balances. A big part of your credit score depends on how close you are to maxing out your accounts. If your balances are too high, it negatively impacts your score. Take whatever extra money you have on hand and pay down as much of your debt as you can. Focus on cards that are closest to their limit. The rating agencies will see you have less outstanding debt and this will help raise your score by Thanksgiving. 4. Avoid excess holiday spending. When the holidays come around, it is easy to get carried away with spending. Between preparing family dinners, traveling around the country and buying presents, you can quickly spend a fortune. All of this spending equals to more money that could have paid down your accounts as well as more debt on your credit card. This is not the way to fix things. Instead, plan to spend less this year so you can focus on your credit problems. Once things are under control, you can then spend more on future holidays. If you are serious about fixing your credit, you can take big steps forward by Thanksgiving. Follow the advice in this guide and you will be on track to finish the year with a much better credit score.